From evaluations to scheduling to field logs to reporting, eMedley for Social Work includes tools for programs to track student fieldwork experience and competencies mastered in every aspect of the process. Analyze, report and track student performance, progress, and mastery towards competencies defined by the Council of Social Work Education(CSWE). Administer 360° evaluations and aggregate performance data across multiple assessment instruments. 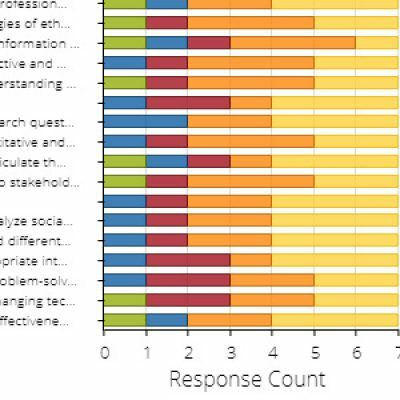 Use intelligent data reporting to answer the questions like what are we teaching? Where are we covering specific standards and competencies? How are students performing related to what we are teaching? Provide faculty with the tools for data driven decision making. From learning agreements to weekly assignments and reflection essays, Social Work programs need to confirm documentation is complete, to ensure that each student is getting the right amount of time and quality of fieldwork experience at each agency. 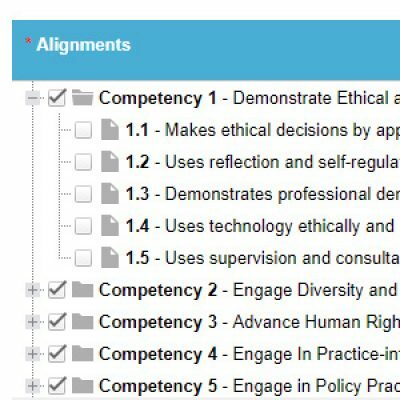 Track which courses, course objectives, fieldwork experiences are covering specific program outcomes and competencies to fill in gaps and identify redundancy across the curriculum. 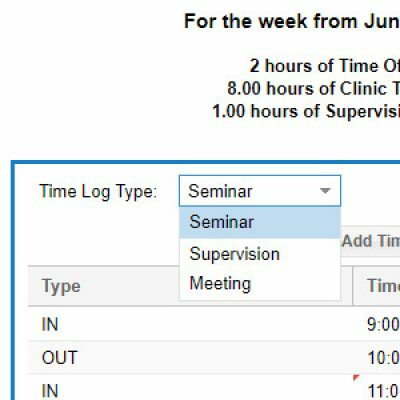 Centralize documentation for agencies, credentialing, affiliation agreements, and contract expirations with automatic notifications. Track documentation and assignments that are due while students are out in the field. Map course content to preloaded CSWE Standards, Bloom’s Domains, Learning Environments, and Threads to identify Gaps and Overlaps in course instruction. eMedley cuts out the middleman by allowing the clinical site to enter it’s own capacity, preceptors and other information straight into the system. Create both scheduled and regular mail merge emails with contact information from all types of contacts (students, faculty, preceptors, site administrators) into the e-Mail Merge module with built-in mail templates for. 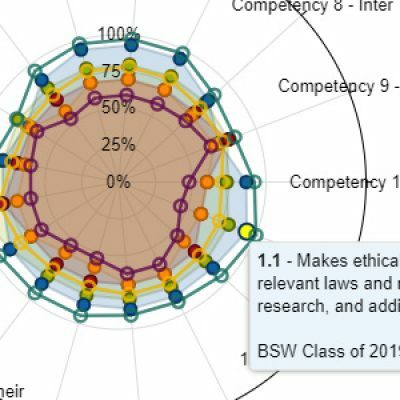 Radar charts, graphs, tables, and other visualizations present multiple ways to view evaluation data broken down individual evaluations or evaluation types. Using pre-defined competencies associated with specific learning activities, work with students to create the perfect learning contract for their rotation. A secure, robust, and user friendly messaging system allows students, faculty, and supervisors to easily communicate, send alerts, schedule tasks, and manage assignments.